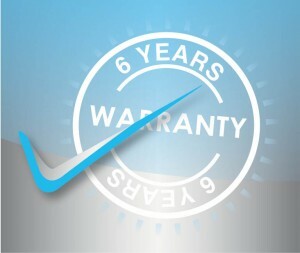 At Morgans Electrical we offer a 6-year workmanship warranty on all of our work. We have always been confident in the quality of our work and for our customers, it gives them the reassurance that we will look after them if they do encounter a problem with any work that we have done at a later date. So whether you have something as simple as an additional plug socket or some new down lights fitted or something more substantial such as a new consumer unit or a rewire, our warranty covers our workmanship for 6 years. From the 2nd April this year, all work that we notify under the Part P scheme will also be covered by the new ELECSA Insurance Backed Warranty. (Please note that not all electrical work is notifiable under the scheme – see our guide to part P for details of what is and what isn’t covered). This is cover lasts for 6 years and is backed by Hiscox Insurance. Morgans Electrical is a registered contractor with ELECSA. Currently, when we notify a job we’ve completed for you on the ELECSA system, your local authority is notified and a building regulations compliance certificate is generated and sent to you. Once the new warranty comes into effect the cover will be automatic upon notification and warranty details will be printed on the certificate. It couldn’t be more simple! You won’t have any paperwork to complete but you will have the additional protection of an insurance backed scheme. However, we hope that none of our customers ever have to invoke the policy! The scope of work covered under the Part P competent person scheme is also due to change in April so I’ll be covering this in a future blog. In the meantime, if you have any questions about Part P and what it covers, please call us on 01525 213103.